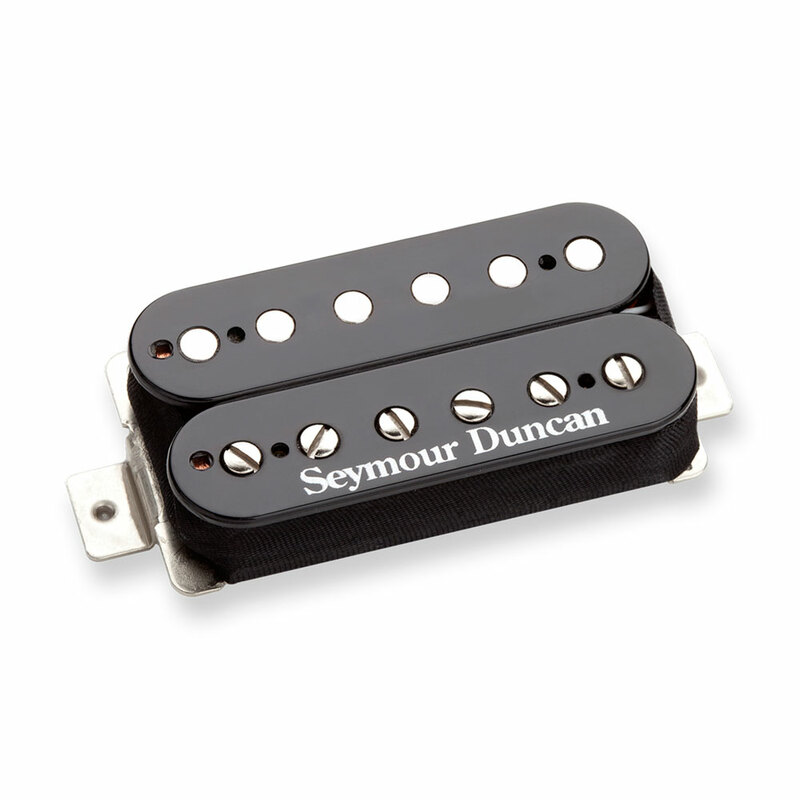 The Seymour Duncan Custom Humbucker is an overwound P.A.F. style humbucker for the bridge position with medium to high output, perfectly voiced for supreme blues, rock and metal. Using a small ceramic magnet, it has tight lows, a bump in the upper midrange which gives you more character and crunch and an airy high end that cuts through heavy distortion but is also great for achieving crystal clear clean tones. The Custom is especially suited to warmer sounding guitars with a prominent midrange, it pairs well with the Jazz or '59 neck models.